The brain is organized into a network of specialized networks of nerve cells. For such a brain architecture to function, these specialized networks – each located in a different brain area – need to be able to communicate with each other. But which conditions are required for communication to take place and which control mechanisms work? Researchers at the Bernstein Center Freiburg and colleagues in Spain and Sweden are proposing a new model that combines three seemingly different explanatory models. Their conclusions have now been published in Nature Reviews Neuroscience. The synthesis of Dr. Gerald Hahn (Pompeu Fabra University, Barcelona/Spain), Prof. Dr. Ad Aertsen (Bernstein Center Freiburg), Prof. Dr. Arvind Kumar (formerly Bernstein Center Freiburg, now KTH Royal Institute of Technology, Stockholm/Sweden) and colleagues is based on the theory of dynamic systems and takes particular account of how the level of activity of the respective networks influences the exchange of information. The study combines three prominent explanatory models that have been proposed in recent years: synfire communication, communication through coherence and communication through resonance. The scientists were particularly interested in what role activity rhythms occurring in the brain – known as oscillations – play in communication. Typically these oscillations can affect anything from a large group of neurons up to entire brain areas and can either be slow, such as alpha or theta rhythms, or fast, such as the gamma rhythm. 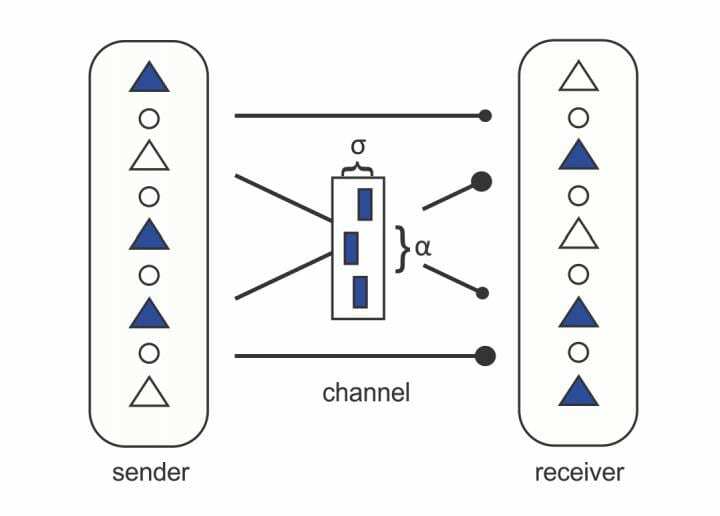 In their theoretical model, the researchers were able to show that the interaction of these rhythms with each other plays a significant role in determining whether communication between networks can take place or not. Certain types of interlocking of these rhythms could act as important control mechanisms. Hahn, G./Ponce-Alvarez, A./Deco, G./Aertsen, A./Kumar, A. (2018): Portraits of communication in neuronal networks. In: Nature Reviews Neuroscience. The Bernstein Center Freiburg is a central research facility for Computational Neuroscience and Neurotechnology at the University of Freiburg. At the BCF “Computational Neuroscience” is defined as the hypothesis driven research approach to unravel mechanisms of brain function and dysfunction using theory, simulation and experiment in a complementing, synergistic fashion.